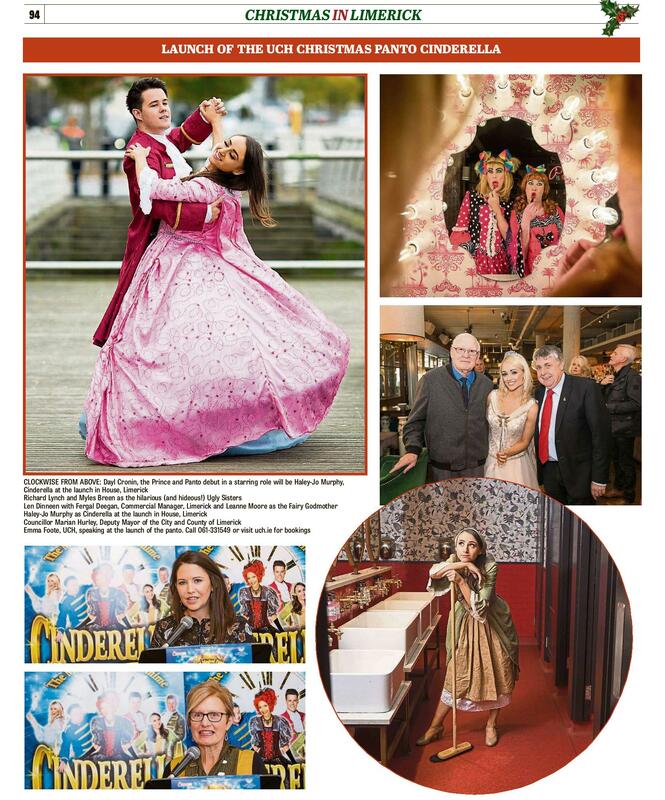 The Spar Panto Beauty and the Beast cast in full costume for the launch of the show in King John’s Castle. 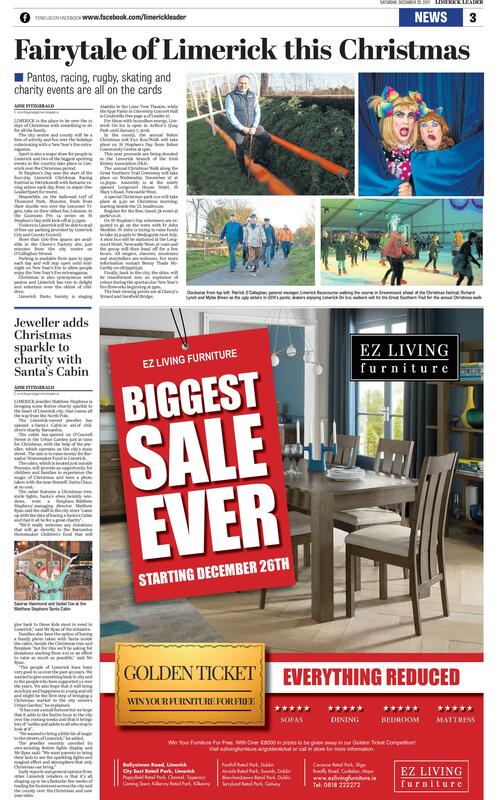 Picture: Sean Curtin / True Media. 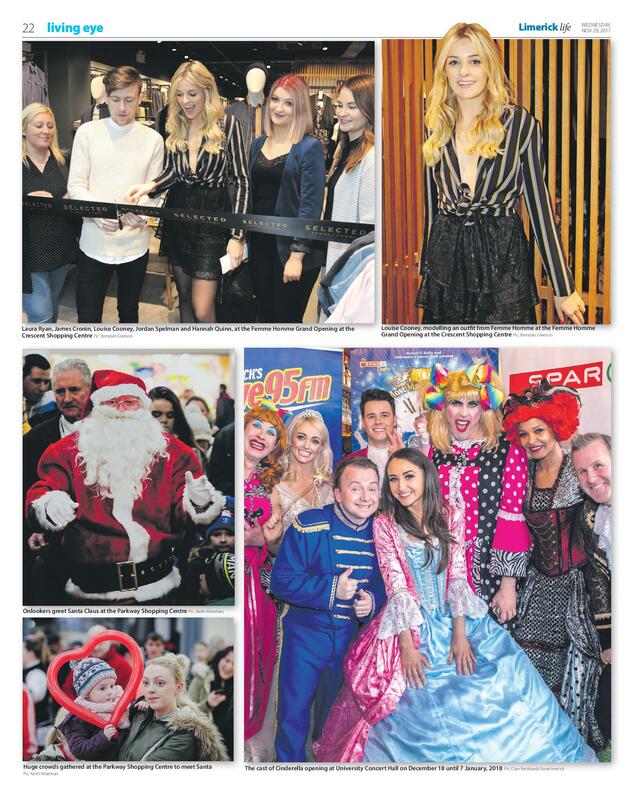 The star-studded cast of the SPAR Panto Beauty and the Beast, were out in force today to launch this year’s show which runs at University Concert Hall, Limerick from December 19. 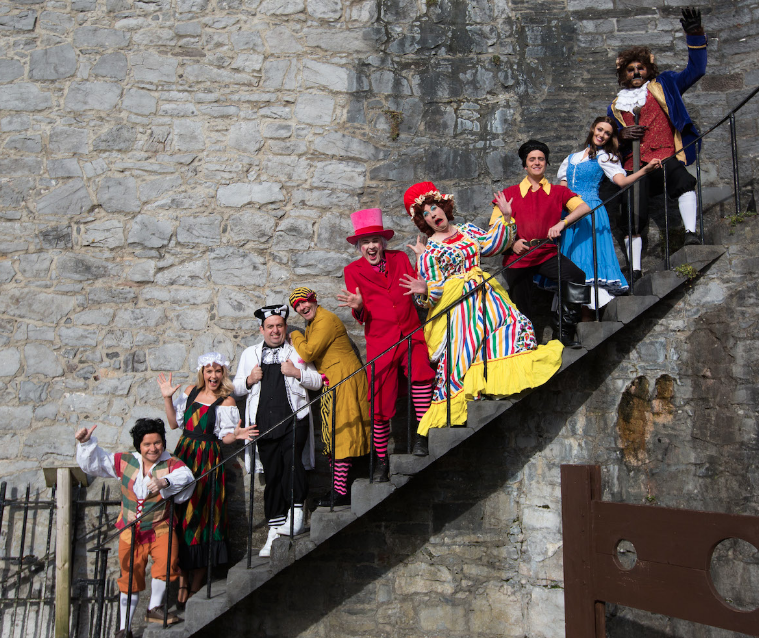 Set against the stunning backdrop of King John’s Castle in Limerick’s Mediaeval Quarter the fairytale cast, in full costume, looked very much at home. Limerick comedian Karl Spain, most recently seen in RTÉ’s Celebrity Operation Transformation, joined other newcomers to this year’s panto at University Concert Hall -Aoibhin Garrihy and Tom O’Mahony – together with the host of long serving familiar faces which already include RTÉ’s George McMahon, Richie Hayes and Leanne Moore. Hailed as “achingly funny” (The Sunday Times) Karl is a regular performer at Kilkenny Cat Laughs, the Galway Comedy Festival and the Edinburgh Fringe Festival. He has performed in Australia, the US and South Africa and has toured with Kevin Bridges and Ed Byrne. Aoibhin Garrihy became well known to Irish audiences as Neasa Dillon on Fair City and Lyndsey Conklin in BBC’s The Fall with Jamie Dornan. She recently appeared on stage at University Concert Hall in the sellout performance of Landmark Production’s Ross O’Carroll-Kelly’s play Breaking Dad. Ex-MMA fighter turned comedian Tom O’Mahony starred alongside the legendary Rik Mayall in RTE’s record-breaking hit comedy Damo & Ivor as the intolerable toff, Tarquin. He has since been a regular on Irish TV shows including Republic of Telly and Irish Pictorial Weekly. The rest of the much loved UCH Panto gang are also back for what will be a completely hilarious take on this tale that is as old as time! Fair City’s George McMahon will play the selfie-obsessed Gaston, who professes to love the beautiful Bell, played by Leanne Moore, almost (but not quite!) as much as he loves himself! Richie Hayes will make sure the fun factor is high, playing Gaston’s loveable side kick Gascraic. 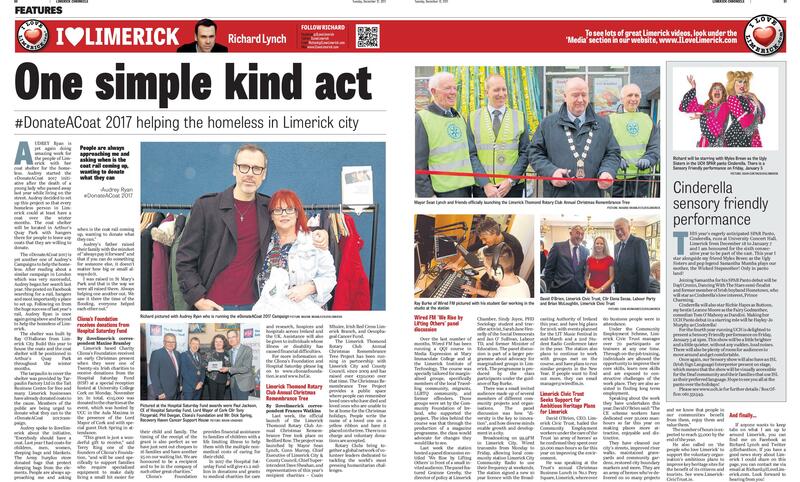 West End star, John Brannoch returns to his native Limerick to take on the role of the Beast. John has recently starred as Rudolpho in Matilda the Musical and is currently touring New Zealand in Pricilla. Dame Myles Breen returns for what will be his 20th consecutive year starring in a Panto, with hilarious Ilovelimerick.com founder Richard Lynch becoming Montyesque as he asks Belle to Say Yes to The Dress! 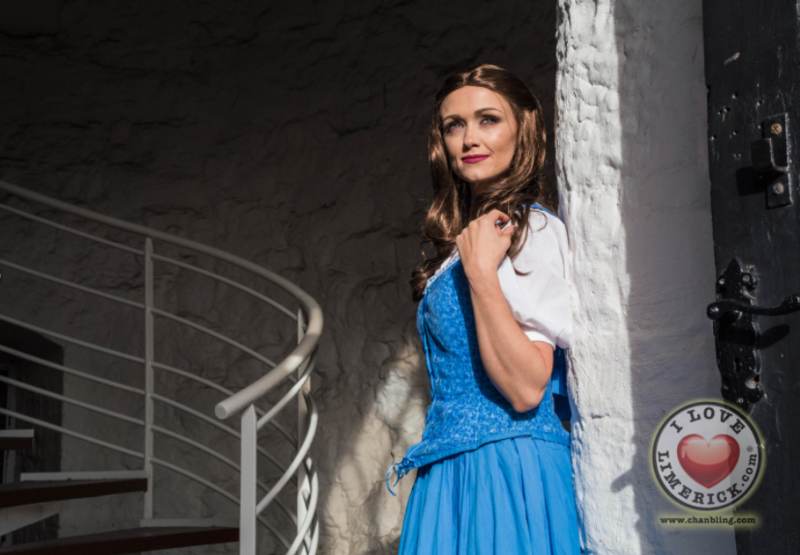 The SPAR Panto, Beauty and the Beast, at University Concert Hall is now on sale with all seven school shows already sold out and limited availability on some performances in the general run. There will be a Sensory Friendly performance on Friday 6th January at 2pm. This show will be a little brighter and a little quieter, without any sudden, loud noises. There will also be plenty of room for audiences to move around and get comfortable, all of which will make it more accessible to some families. SPAR, one of Ireland’s largest convenience retail groups, announced its title sponsorship of the 2016 University Concert Hall, Limerick Panto in August of this year. Representatives from all ten of the local stores involved were on hand to celebrate today’s launch. A SPAR “Hut”, set up in the courtyard of King John’s, provided the perfect pit stop for Gaston and Co. to refuel on their way to free Belle from “the Beast’s” imposing Castle. 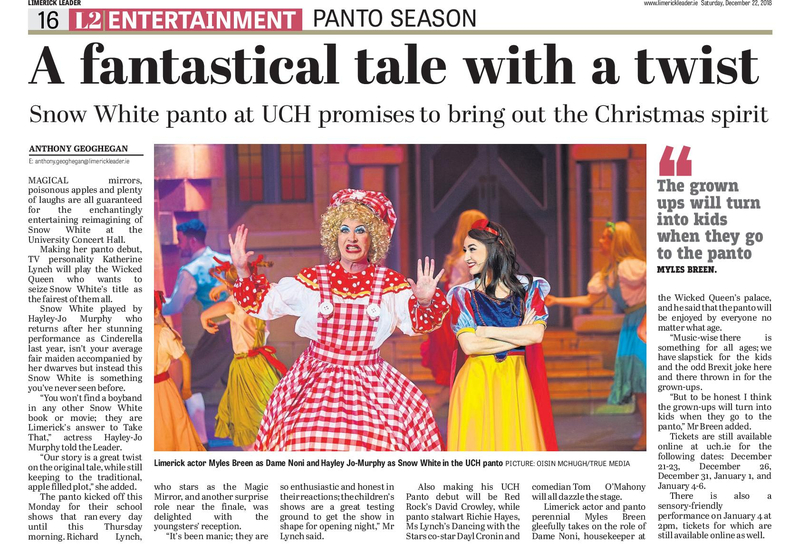 The Spar Panto Beauty and the Beast will be running from Monday December 19 until Sunday January 8.